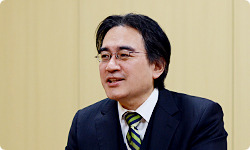 We’re not calling today’s Iwata Asks interview “Wii Fit U,”1 but rather, we’re going to be calling it Iwata Asks: Fit Meter2. I’d like to ask about how Panasonic3 and Nintendo cooperated in making this intriguing activity meter4. Thank you for coming today. 1. 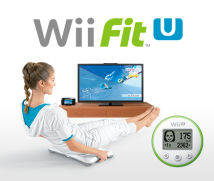 Wii Fit U: A fitness game for the Wii U console, available at retailers across Europe from December 13th, 2013. A free 31-day trial version is currently available until January 31st, 2014, allowing users to enjoy the full game for 31 days from the day the software is started for the first time. A compatible balance board, such as the Wii Balance Board, is required to play. For more information, please visit the Wii Fit U website. 2. Fit Meter: An accessory for Wii Fit U released on November 1st, 2013. Users clip it onto their belt or waistband to measure how many calories they burn each day, and the results can be sent to Wii Fit U for display as detailed graphs on the TV or Wii U GamePad. The Fit Meter calculates altitude from air pressure. The Fit Meter cannot be used on its own as an activity meter; for use, it must be paired with the Wii Fit U software. 3. Panasonic Corporation: A general electronics manufacturer that produces, sells, and provides services for consumer electronics and appliances. Founded in 1935. Headquarters: Osaka Prefecture, Japan. 4. Activity meter: A device that, when affixed to the body or clothing, uses bodily movement such as swaying to determine exercise intensity and measure burned calories. 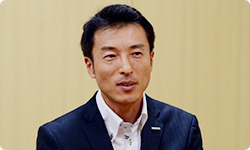 I’m Tooyama, I work on activity meter-related projects and services at Panasonic. I’m Kitado, also from Panasonic. I was in charge of development of the Fit Meter. I work on making monitoring software for activity meters. 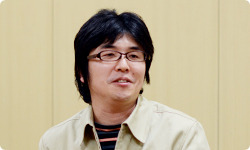 I was producer of Wii Fit U. I’m Sugiyama from the Software Development Department. 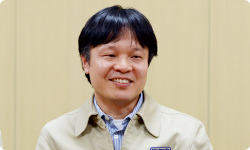 I was director of Wii Fit U. I’m Matsunaga from the Software Development Department. 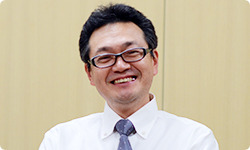 I was assistant director of Wii Fit U. I’m Hayashi from the Software Development Department. All right. To jump right in, how did you first conceive the idea of adding an activity meter to Wii Fit5?5. Wii Fit: A fitness game released for the Wii console in April 2008. Well, it was my idea. 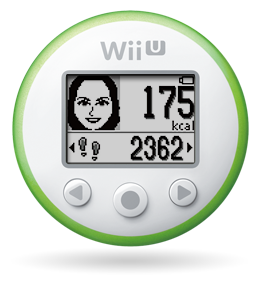 With Wii Fit Plus6, because we incorporated METs7, it became possible to tell how many calories you burned in each of the training types. Apart from that, I enjoy cycling and hiking in the mountains, and I always thought how great it would be if I could manage the calories I burned through working up all that sweat with calories that I burned through the activities with Wii Fit.6. Wii Fit Plus: A successor to Wii Fit, released for the Wii console in October 2009. For each activity, it displays METs representing exercise intensity and calculates how many calories the player burned, based on weight and exercise time.7. METs (metabolic equivalents): A unit of intensity for exercise and body movement. Sitting still without moving is considered to have a value of one MET. You wanted to measure your activity even when you’re away from the television, and manage it together with Wii Fit. Yes. I set my eyes on an activity meter, but I didn’t have any development know-how. When I was looking for a place to ask for cooperation, the hardware team introduced me to Panasonic. Oh, so that’s how you moved forward. When we made Nintendo GameCube8, Panasonic helped us out a lot with the optical disk technology, and we continue a relationship with them today. 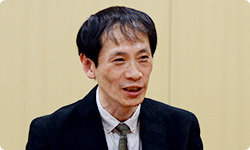 Tooyama-san, how did the project first come to you?8. Nintendo GameCube: A home video game console released in May 2002. It started with a “field trip,” right? What do you mean by a field trip? Oh, so it was a field trip because we in Kyoto went to you in Osaka? Yes! (laughs) And we had the chance to show you a variety of what we had to offer. But having said that, they may have had their eyes on the activity meter from the very start. Tooyama-san, did you wonder what all these people had suddenly shown up for? I have to say, there was some commotion at the company. We were trying to figure out what to talk about! (laughs) After all, our companies have different cultures. I’m sure there are cultural difference between Nintendo and Panasonic. You worried if they would pick up on what you said. I bet they showed you some interesting devices besides activity meters. They sure did. There was technology for things like sleep and skincare, among other things. Well, Nintendo once worked with an external expert to make facial training software9 for training facial expression muscles, so it’s not as though if we have absolutely no connection to beauty and fitness technology!9. Facial training software: Face Training: Facial exercises to strengthen and relax from Fumiko Inudo, a facial-expression muscle training game released for the Nintendo DS system in September 2010.